New Delhi: IPRCL (Indian Port Rail Corporation Limited), which is executing projects worth Rs 1 lakh crore, will build Indore-Manmad rail corridor for shipments of containers to JNPT, said Shipping, Road Transport & Highways Minister Nitin Gadkari. 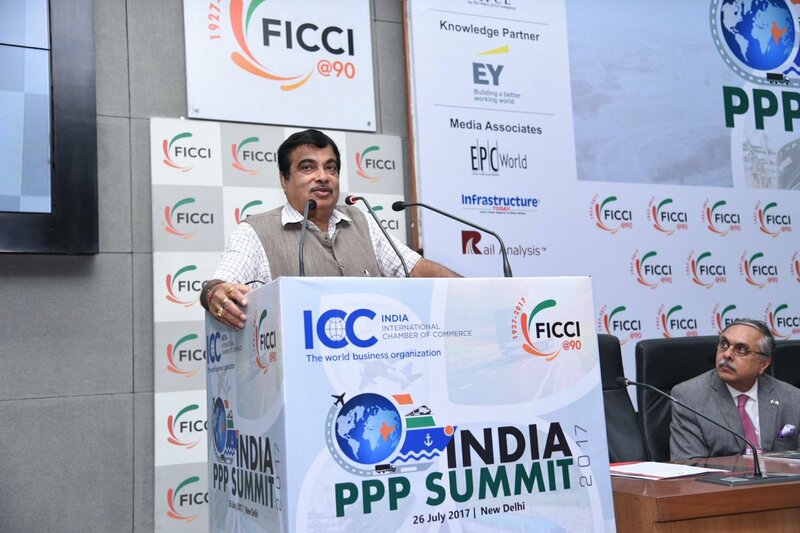 Gadkari told at an event organised by FICCI – India PPP Summit. IPRCL is a first-of-its-kind Joint Venture Company (JVC), between the Major Ports under the Ministry of Shipping, & RVNL (Rail Vikas Nigam Ltd). The DPR (Detailed Project Report) for about 339 kilometer project is ready, he said. The project is aimed at cutting down Indore-Mumbai distance by 200 km & would offer a corridor for despatching export containers from Indore region directly to JNPT. 50% of the about Rs 4,000 crore (Approx US$ 625 Million) project would be funded by the Railways while the remaining will be offered by JNPT, the minister said. The discussions on the project are on and the land will be provided free of cost by Madhya Pradesh & Maharashtra governments, which will be converted into equity. He said, state governments have also agreed to exempt taxes. Likewise, a Rs 1,000 crore rail line is being built to carry coal from Talcher to Paradip where Coal India plans to augment its output from the present 60 MT to 300 MT, the minister said.